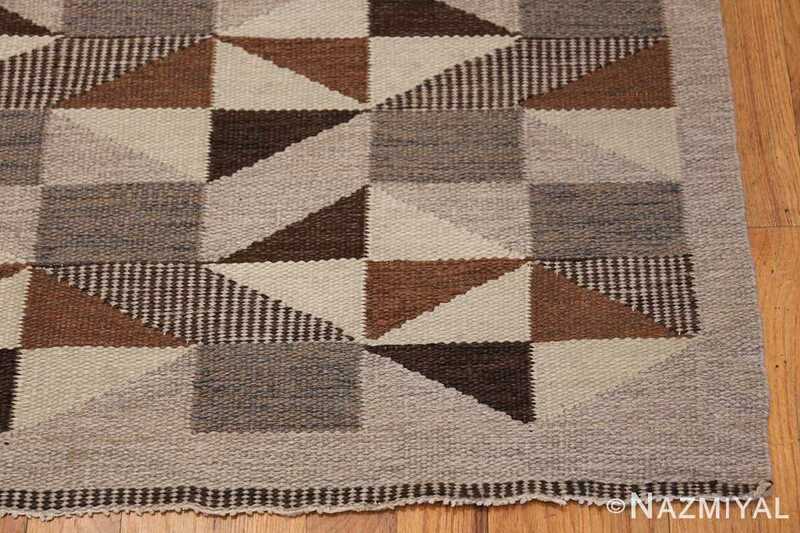 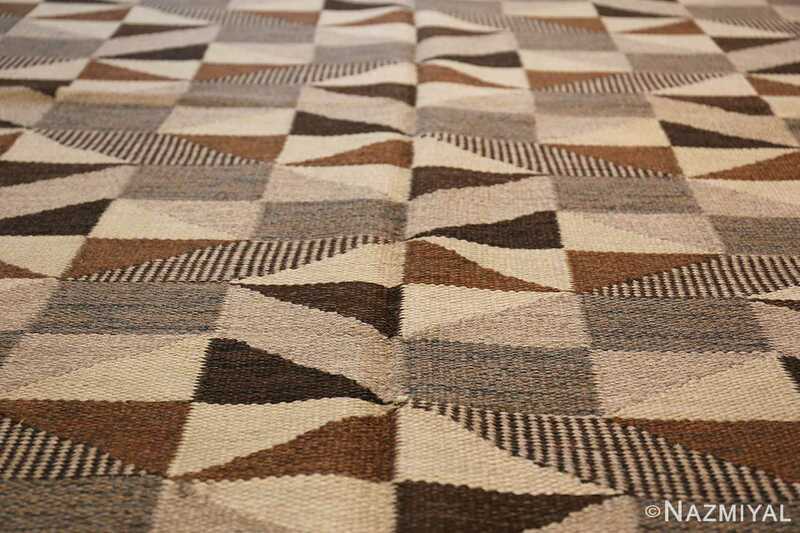 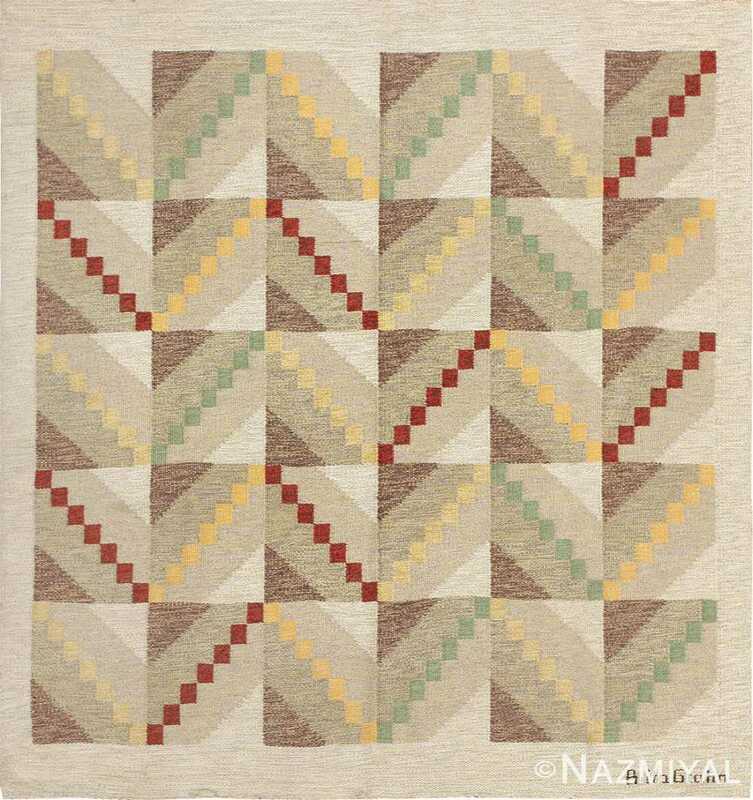 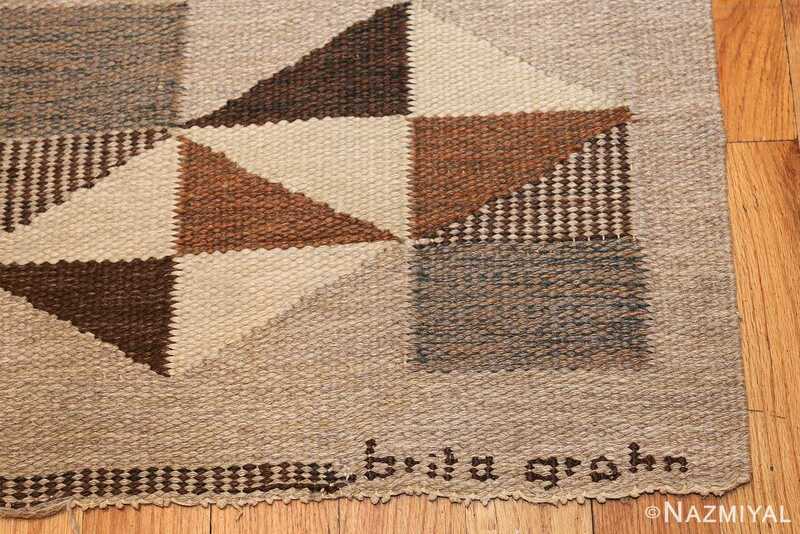 Signed by Swedish master weaver Brita Grahn, this stylish kilim features an inventive repeating pattern incorporating a simple selection of geometric motifs. 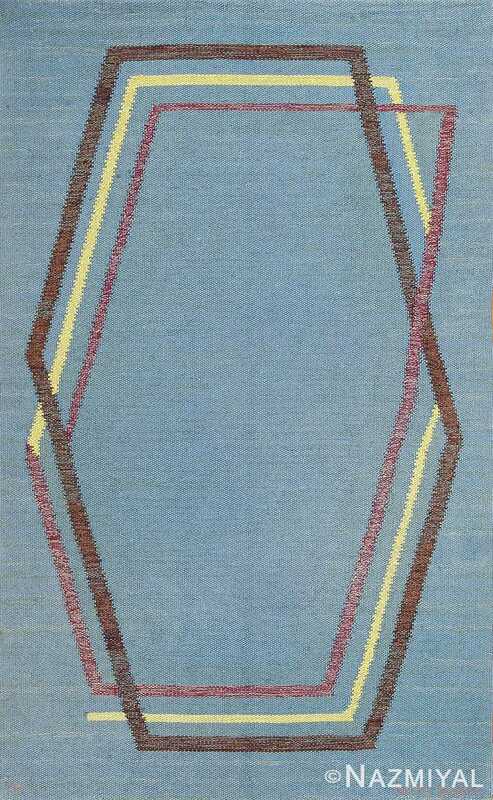 Vintage Swedish Rug by artist Brita Grahn, Country of Origin: Sweden, Circa date: Mid 20th Century – This minimalist vintage carpet transforms simple half-square, diamond and quarter-square motifs into a graceful geometric pattern with meandering rows of zigzags and layers of secondary figures formed by the half-square and quarter square modules. 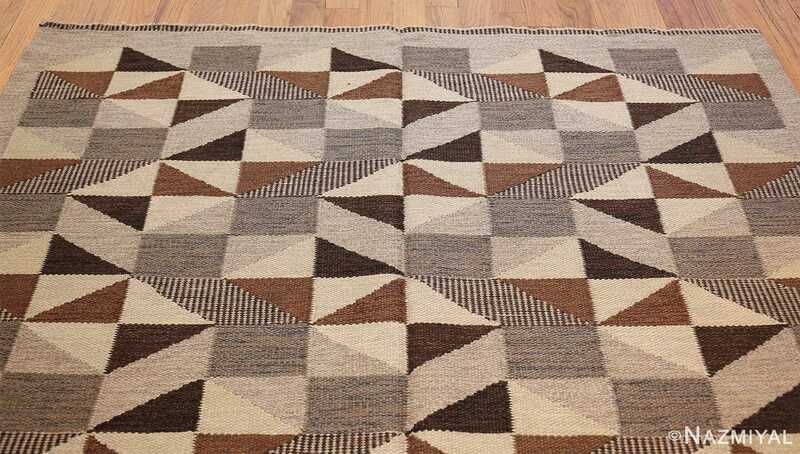 The carefully placed geometric units maximize the effectiveness of each precise square, half-square and diamond-shaped accent piece. 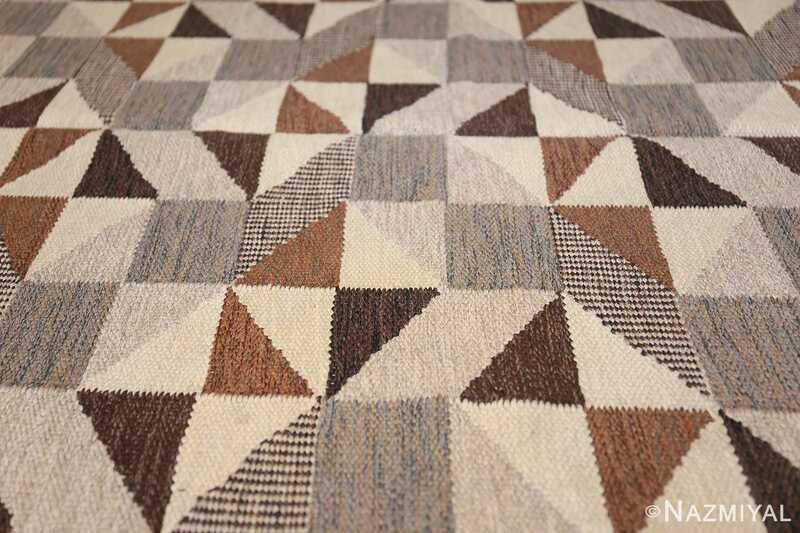 Warm chestnut brown details, snowy white segments and mottled gray accents are paired with richly textural diamonds that feature rows of minute lozenges, which add texture and interest to the meandering geometric modules and minimalist, achromatic color palette. 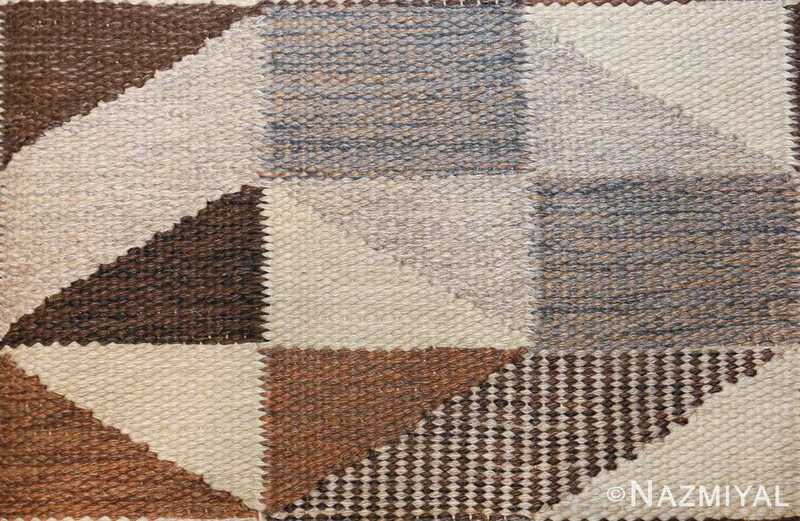 The full-spectrum color scheme incorporates light-value whites, chromatic chestnut browns and obscure grays. 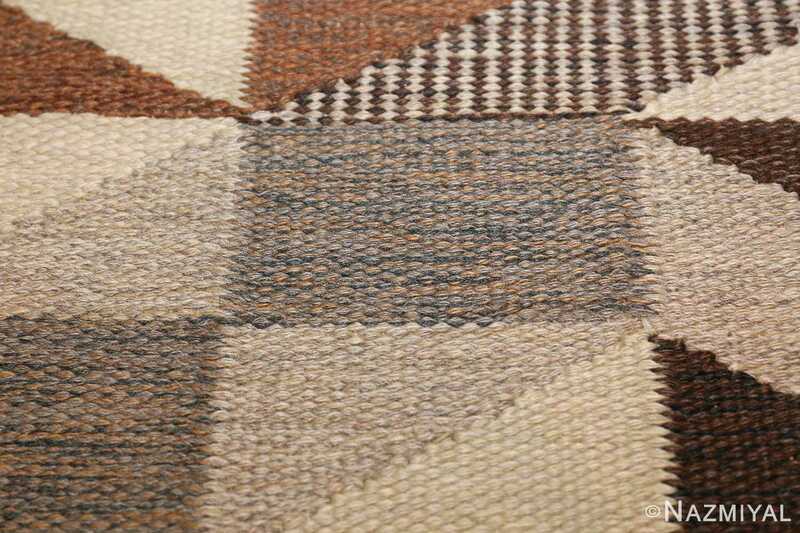 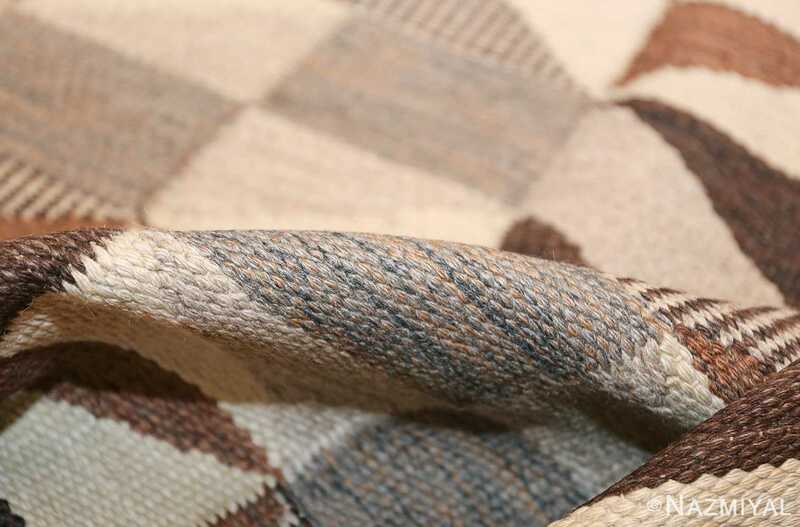 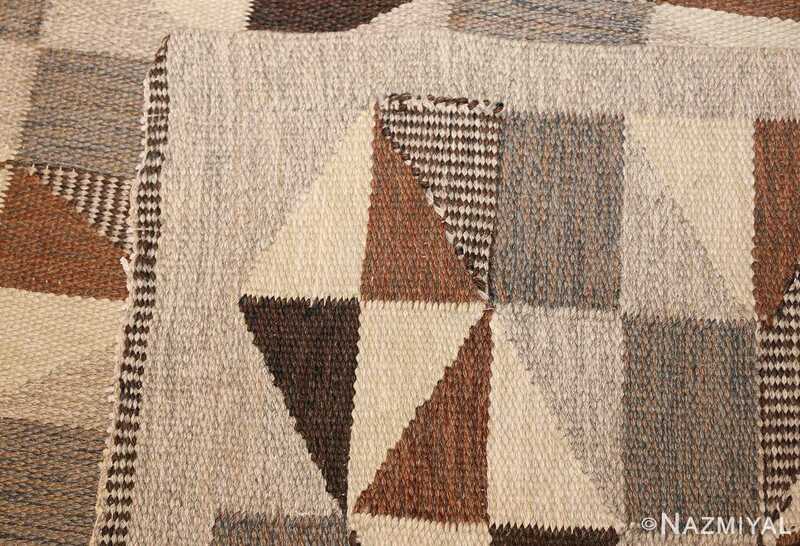 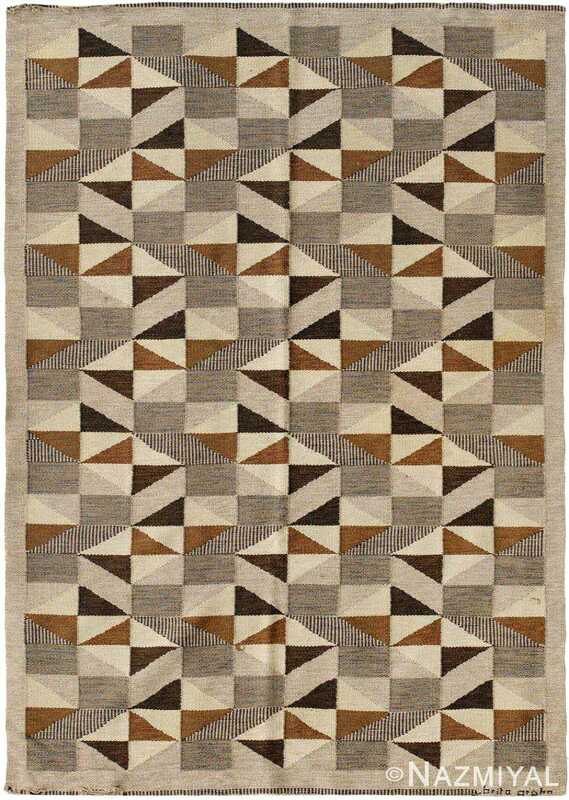 Created by expert weaver and textile artist Brita Grahn, this flat-woven vintage Swedish rug showcases masterful patterns rendered in a well-developed minimalist style that incorporates rich textures, strong lines and a complex selection of neutral colors and muted browns. 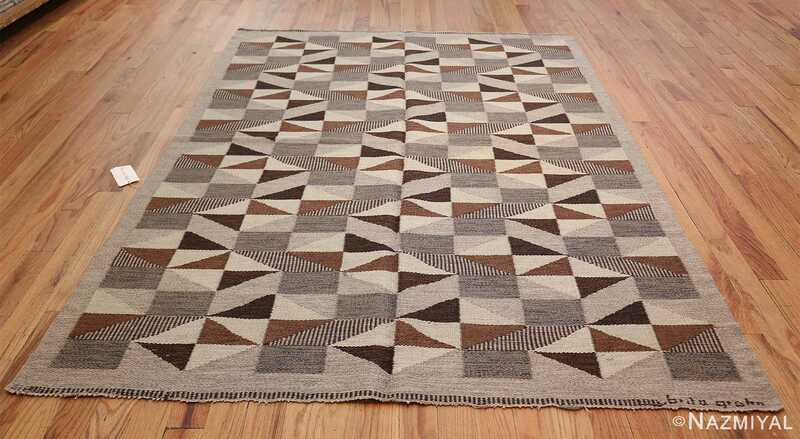 It has an artistic impact which is reminiscent of the iconic Escher paintings and it is in excellent condition.